Today's a special day where I'm trading blog spaces with some friends. 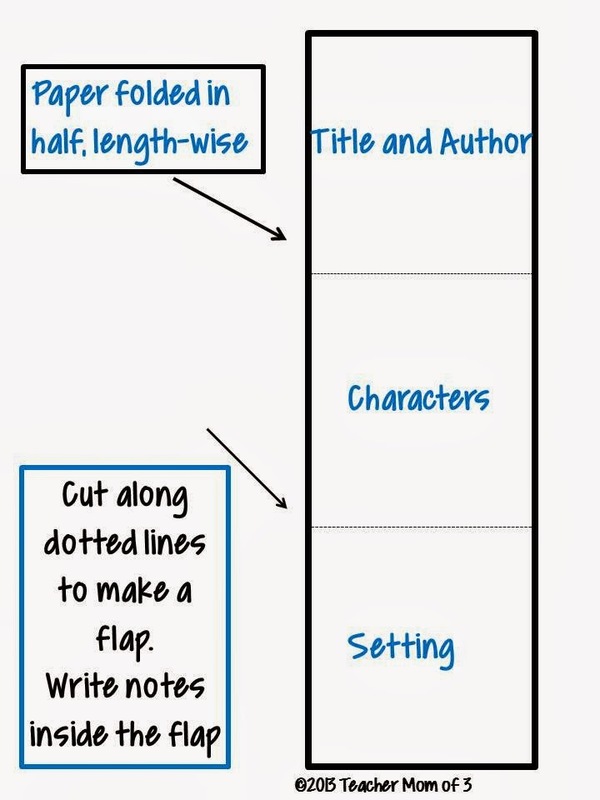 You can find me over at Comprehension Connection, and Lauren is borrowing my blog with some great tips for using graphic organizers to scaffold thinking. It is my absolute pleasure to be here today at Luckeyfrog's Lilypad with you, as I am participating in a "Trading Spaces Tuesday" with a few of my blogging friends! Just like Jenny, I am an elementary reading specialist, although I have also worked in middle and high school. In addition, I am a literacy coach, having coached and mentored teachers at the middle and elementary levels. And, yes, I have three children and will soon have three furbabies! 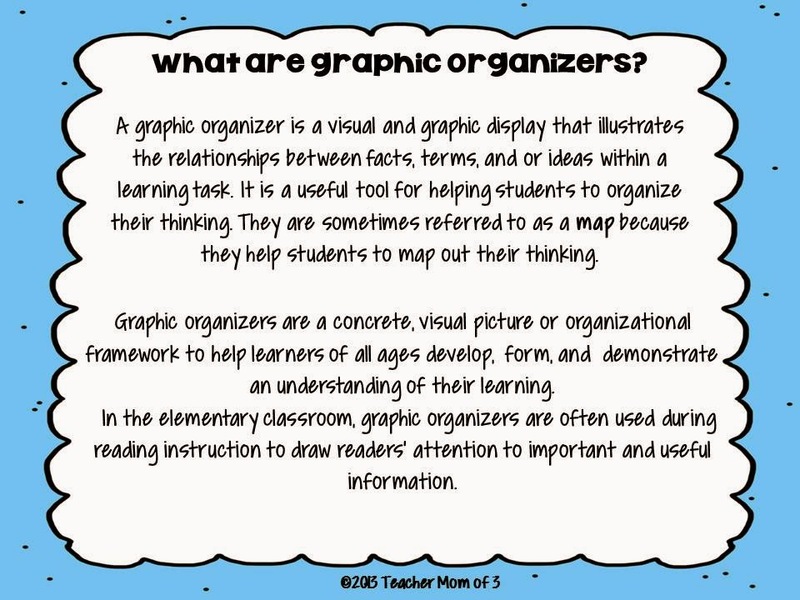 I have used graphic organizers in the classroom since the late 1980's. In fact, a large collection of graphic organizers for reading and writing was included in my county's ELA middle school curriculum in 1991. Based on the work of Jay McTighe, we were encouraged to model their use, display in our classrooms, and use for both instruction and assessment. Ever since, I have used graphic organizers with students of all ages and abilities, from the learning disabled to the gifted. 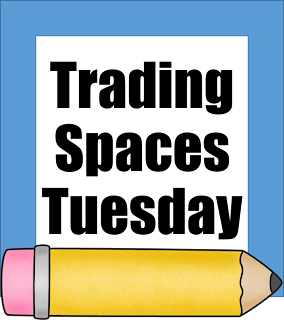 For this post, I will provide a review of implementing graphic organizers in reading instruction. 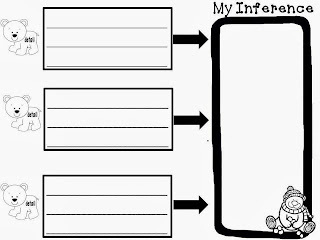 One of the best features of graphic organizers, in my opinion, is how versatile and flexible they are, as they can be used with any content area. In fact, teaching the older learners to transfer their understanding of using organizers to another content area besides ELA, is important and effective learning. Moreover, applying reading skills and strategies to content area and independent reading is critical for reading to learn, which is the purpose of reading for students in grades 3 and beyond. For the primary age learners, the organizers are used as tool for understanding letters, sounds, word families, comprehension strategies, as well as learning to retell and summarize. However, this is just the tip of the proverbial iceberg! Not only can they be used to aid reading skills, strategies, and comprehension, but they can be used for note taking during reading and for brainstorming and pre-writing a written piece. Students need to know the flexible uses and purposes of graphic organizers and that they are not just another worksheet, but an actual tool that can make learning easier, more effective, and more engaging! How Can I Use Graphic Organizers? 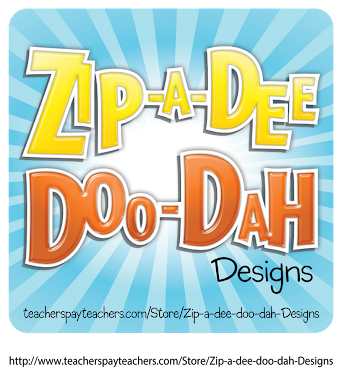 They can be used with students in kindergarten for learning the alphabetic principle, learning letters and sounds, phonemic awareness, and phonics (e.g., use a simple four-square organizer for the /k/ sound. Draw a picture in each square of a word that begins (or ends) with that sound. 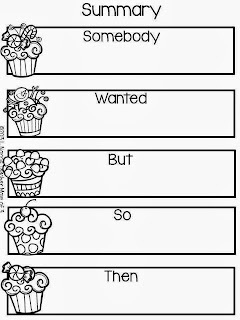 Can be used at any time during the reading process: before, during, and after reading. 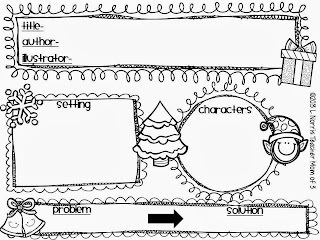 For before reading, they can be used to activate schema, set the reading purpose (read to find out the author's purpose, or message,theme), build prior knowledge, and front-load instruction (e.g., show them the story map they will complete after reading, giving them a visual map of the story's structure). 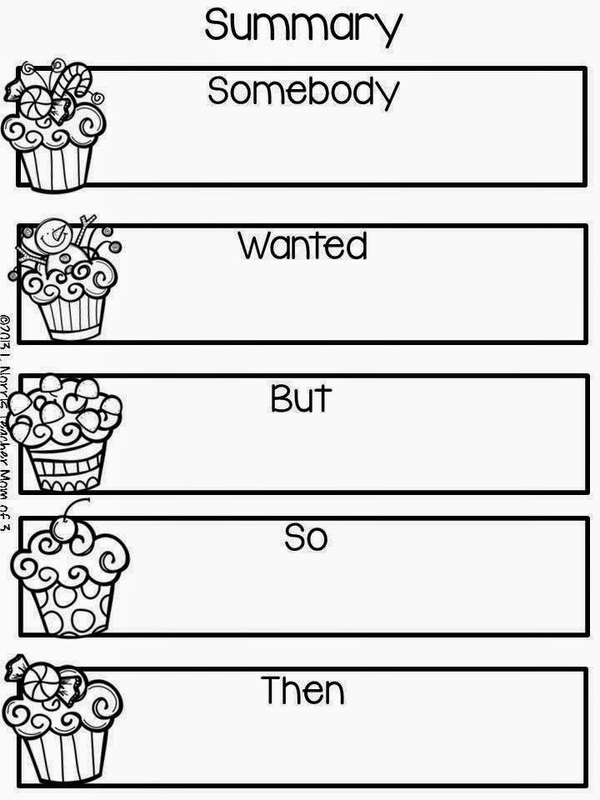 Use for assessment after reading independently, in Guided Reading, Shared Reading, or after a read-aloud. 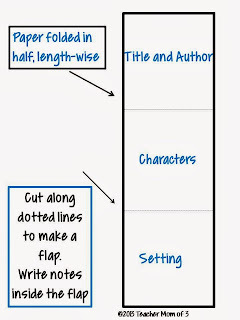 For instance, students could complete a story map that asks the reader to write (or draw and label) the sequence of events and other elements of the narrative structure such as the characters and the setting. Can be used with all grades from preschool to college! In a similar manner, they can also be used in an interactive notebook; in fact many of the interactive templates you will find are the same if not very similar to typical graphic organizers. To further visual and tactile interaction, students can color code their organizer, not just to make it look pretty, but to aid in learning. For example, when working on a cause-effect organizer, color all the "cause" squares blue and the "effect" squares green. Fosters motivation, engagement, and active reading. Completing an organizer during and after reading is usually much more interesting and a better use of time than answering questions on a worksheet. With all this being said, graphic organizers are not the end goal of instruction. The idea is to use a gradual release model, eventually having students use the organizers independently and then internalizing a variety of them so they do not have to use them at all. Of course this requires much modeling, explicit teaching, and time for guided practice. Let me give you an example. My middle son is in second grade. One day a month or so ago he brought home a half sheet of paper to write a summary of a chapter from the book he was reading in Guided Reading. However, he could not just sit down and write a summary even though he appeared to understand the "gist" of the chapter. So, I whipped out a "Somebody-Wanted-But-So-Then" organizer that I had laminated. I gave him an Expo marker and he dictated to me the ideas for each section. I then showed him how to use the first block ("somebody") to write his first sentence and how to transfer his ideas from the organizer into sentences. Next time, he wrote his ideas on the organizer, and now he is to the point where he just has to look at the blank organizer to write his summary. This illustrated the "cognitive load", where the teacher is doing most of the work at the beginning and then it transitions to the student working independently. As a final thought, there are many ways that organizers can be differentiated to offer more of a challenge or to simply concepts for students who are not ready for an in-depth look and analysis of a text. Just making the shapes or fonts larger and deleting some components can be a simple way to differentiate for those in reading intervention groups. And the bottom line? Eventually students will not need to use an organizer at all! That is the ultimate goal, whether the organizer is being used in reading, writing, or another content area. 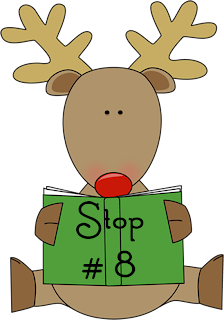 As I write this, I am almost finished with a set of graphic organizers I created for reading literature that has a Christmas and winter theme. 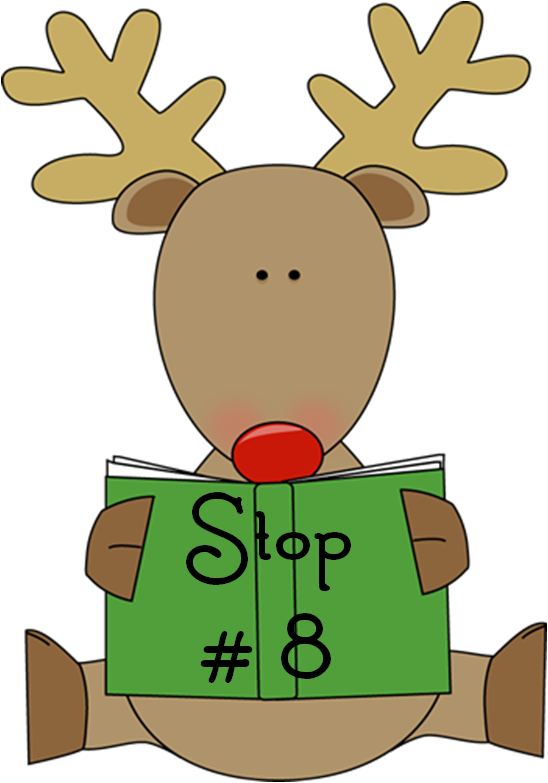 It is perfect to use this week with your holiday reading, or to use when you return after winter break. 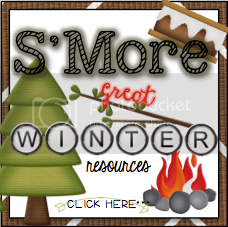 You can check out a sampling of this resource and download two FREEBIES by clicking the pictures below. Enjoy! Today, you can find me blogging (with a freebie!) about teaching kids to read punctuation. It's such an important part of fluency and comprehension, so if you'd like a free PowerPoint presentation to help (and some tips!) stop on over to Comprehension Connection. I am so excited to share a friend’s product with you today! I am one of those teachers who refuses to let holidays mean that my kids stop learning. I’m stubborn like that :) Instead, I do whatever I can to incorporate learning into the holiday. If you’re looking for a game that’s sure to keep your kids reading and building background knowledge even on those last few days before break (with little prep for you!) be sure to check out the Ho, Ho, Ho! 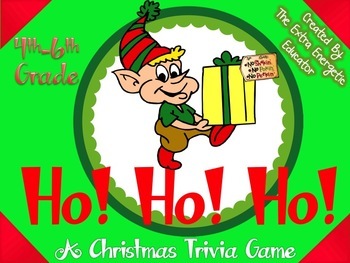 Holiday Trivia Game from The Extra Energetic Educator. The game comes with 36 trivia cards and even extra cards to add your own questions. She suggests keeping them in an envelope, which is normally how I store my center games, but I decided to try a Santa hat for this one to add the fun factor! To play, kids draw a card and write down their answer on this recording sheet. One of the other students plays the “Expert” and checks the answer on the answer key (included). If they get it right, they get to keep the card. If, by chance, students draw a Ho, Ho, Ho card, all of the players say, “Ho, Ho, Ho!”- which I know my students will LOVE. You can also read some of the other great “swap” reviews here! One last note- be sure to check out my Facebook page if you haven’t hopped through the Freebie Frenzy yet! There’s one for almost every grade level and it’s full of FREE resources! You would think that by fifth grade, kids could find proof in the text for their answers… but not all of my intervention kids can! They are really improving with practice, though. If you love using Super Text Detectives like I do, be sure to check out the brand spankin’ new December edition! I’m currently working with a lot of kids who really need any extra schema I can give them, so I have really tried to integrate science and social studies content to help build your students’ background knowledge. Be sure to check out the preview in my store here- it includes a freebie passage for you to try out! My kids really love the color-coding- even the older ones think it’s more fun when we get out crayons and colored pencils, but it’s really giving them terrific practice too. Of course, like everything else in my store, it’s on sale until midnight tonight. Make sure you use the code CYBER for 28% off! In other news, it’s DECEMBER already! I think I may have more Christmas CD’s than I do non-Christmas CD’s. It’s ridiculous- but awesome. And the Candy Cane Kisses that Hershey puts out this time of year? So delicious! You will also want to make sure you have liked the Luckeyfrog’s Lilypad Facebook page because this weekend will be another Freebie Frenzy! That means a chain of Facebook pages offering free goodies for our fans, so be sure to check it out! One more thing before I go… time to announce the winners of my giveaway! I will be contacting them tonight :) Congratulations, Lori Schafer-Lee, Gina Hutton Underwood, Melinda King, and Cecile Henderson! I only had two days of school this week, but I still want to share a “wow” from my week. I’m linking up with Emily & her pals at Curious Firsties! You might remember that when I moved this year, I found a great new position- but it was only a half-time position. To be honest… it’s been a little tough on me. I really, really miss the classroom and sometimes I don’t feel as great about myself as a teacher because I just don’t feel like I’m able to teach to my potential, if that makes sense. I do love working with kids who are low in skills. These kids need me- if not for reading help, for basic love and attention- and I absolutely adore working with those kids. And I’m fine-tuning a lot of my RTI skills this year, which is fantastic for if I ever do move back into the classroom. But my “Wednesday Wow” for this week is that I’ve started a long-term subbing position in the afternoons- so for a few weeks, I’m working full-time! The ESL teacher at my school needed to be out until after winter break, and my principal worked out a way for me to sub for her every afternoon. It feels amazing that my principal went to special trouble to have ME teaching those kids, but it also just feels great to spend all day at school and feel like I really get to use my talents! I know, I know. I’m a person who is actually ENJOYING more hours of work—but I’m so thankful to have a job I love so much! I am also incredibly thankful for all of you! Thank you for validating my teaching ideas. Thank you for commenting, sharing ideas, and becoming friends. To say thanks, I want to offer 3 copies of my newest Text Detectives pack for free. I’m working on the last few passages in the next couple of days, and I’m so excited to give some away! It includes passages about Holidays Around the World, winter and snow, and some December fiction. Plus, I want to offer something one-of-a-kind. My uncle is an incredible artist who has recently turned his talent into a business called Imitation Station. He can take a photo and turn it into a personalized sketch. What I really love is that he can do a more realistic sketch or more of a caricature to match exactly what you want! He can even do a portrait of a celebrity. Because he’s my godfather, I’m lucky to have three of his portraits as gifts—Josh Groban (my celebrity crush) and two of Donald Driver (my absolute favorite football player!). They are incredible- and such a great gift. Every piece of art is completely unique and hand-drawn. You can order your own custom caricatures and sketches from Imitation Station’s website and Facebook page. (He even offers Facebook promotions sometimes, so it’s worth following!) He even guarantees your satisfaction with the final product! As the grand prize of this giveaway, you can win a $40 gift certificate from Imitation Station plus FREE shipping in the continental U.S.! Enter to win a Text Detectives pack or a custom caricature using the Rafflecopter below! :) Thank you so much for being a fan, and happy Thanksgiving! The giveaway runs until midnight Monday, December 2nd. 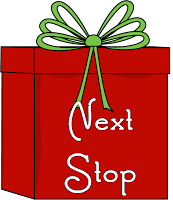 At each blog stop, you will be gathering Reading gifts and freebies. 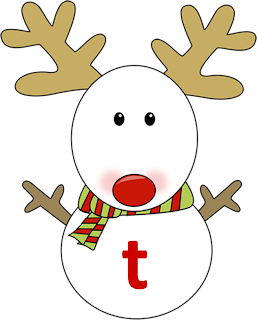 In each post you will find a picture of a snowman with a letter on it. Collect all of the letter to solve the mystery quote to enter the giveaway. Record all of the letters on your recording sheet and follow each blog along the way so that you can enter the amazing giveaway at the end! 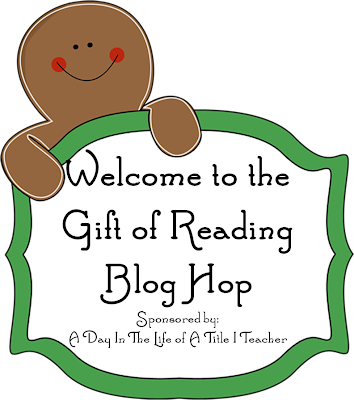 The hop is set up as a loop, so you may start anywhere along the hop, but if you would like to start at the beginning you may go to A Day In The Life of A Title I Teacher's blog. This is also where you will go after you finish the hop to enter the giveaway!! I'm so glad you're here! I'm a reading specialist in Ohio and I have always loved reading. I've even gotten a chance to work with Scholastic Reading Club this year! The last two years, I taught 2nd and 3rd grade. These students are just starting to venture past decoding and into deeper books with more emotion and more complicated, interesting stories- which I LOVE! The tricky part, though, is that while many of them can do basic word decoding, they struggle with the bigger words that come with these new books (especially chapter books!). I work with my students a lot on "chunking," or breaking a big word apart into smaller parts that they know or can decode. 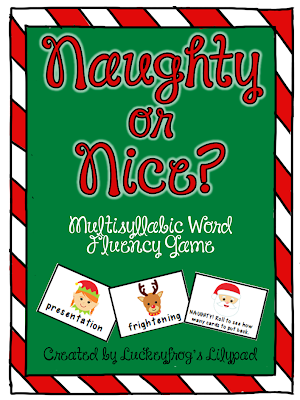 I developed a few games for my class that specifically help my students build confidence at breaking apart these smaller words and get better at recognizing phonics patterns within multisyllabic words. The words are slightly split apart to help students develop this skill, and use common suffixes. To make it more fun, I turned this into a card game with "Naughty" or "Nice" cards that will randomly turn up in the game and cause them to give back cards or get extra cards! The kids in my class have really loved this type of game and I see a huge difference in their willingness to dive in and apply their phonics skills to even those "big" words! Thank you for stopping by my blog today! I hope that you enjoyed your gift and learned something new. If you would like to be the first to know about new post, giveaways, and blog hops follow me on Bloglovin' by clicking the image below. You can find my other social media on the top right of the page! Don't stop now! Hop on over to Mrs. D's Literacy Lab to pick up another amazing reading gift! Happy Holidays! If you get lost along the way download the Hop Map here to easily pick back up where you left off! Thank you so much for visiting! Enjoy the hop!